Happy Valentine to all of you! Presenting Tilias Kofta as a free pattern on Valentines Day is my way to say THANK YOU to all of you who make each day at Ravelry lots of fun! I have met so many great people thrrough Ravelry; people who send sweet messages, show appreciation, give hearts and nice comments. I just LOVE it! And had to send a little love back! 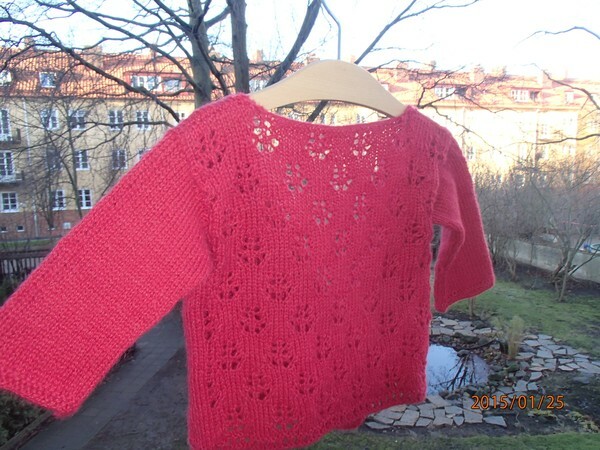 The pattern is a free pattern - with one version in English, one in Swedish. I visited Copenhagen with one of my sisters at Christmas-time. Our steps automatically leads to a wonderful yarn store named "Sommerfuglen" (the butterfly). It's a tiny store with an amazing range of wool - and I promise you, it is VERY difficult to visit Copenhagen without going there! 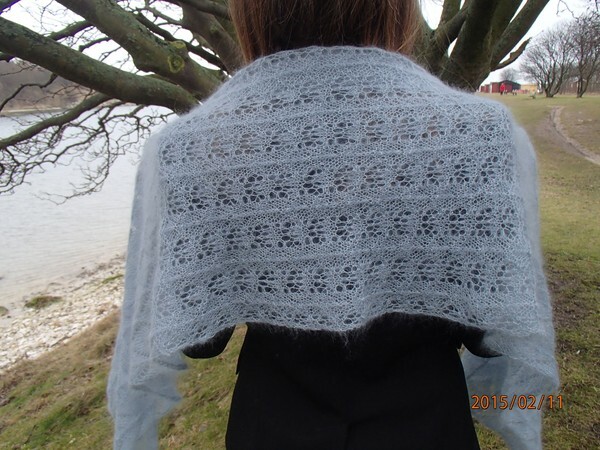 At this particular visit I bought some beautiful Ice blue Silk Mohair from Isager Strik. With no particular idea of what it would turn into. 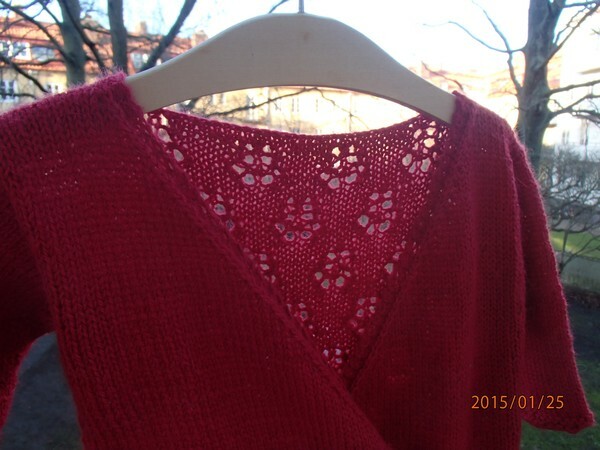 After some pullover sketching I switched completely over to an idea of a lace-shawl. And off I went, playing around with 3 different patterns built up around the same amount of stitches. And half-way through I realized that the patterns would be even more visible if working it using contrasting colors. One is subtle, feminine, graceful - the other bold, vivid, colorful.